Taking Kids To A Wedding? 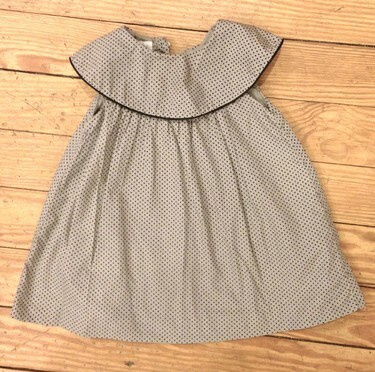 Chelsea Clothing cotton dress, size 3T, $27.99. 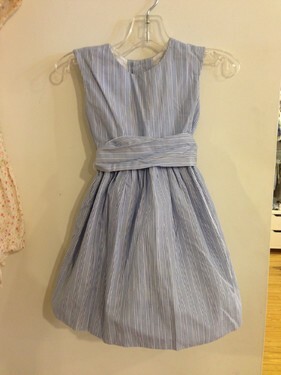 This is one of the most beautiful things we've ever had in the store. 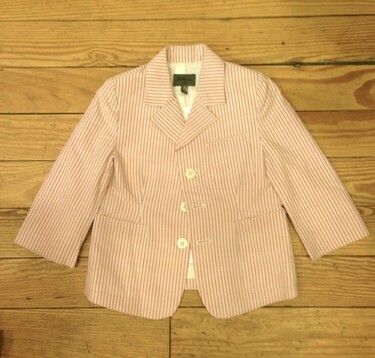 Chloe (Yes, the CHLOE), 6 mo, $39.99. 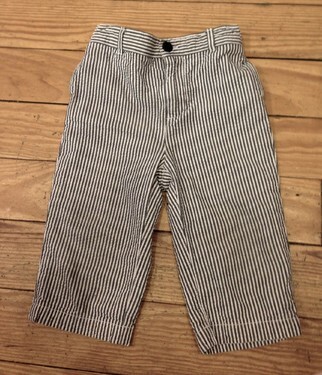 These are representative of pants we often have in the store--Crewcuts, 18 mo. 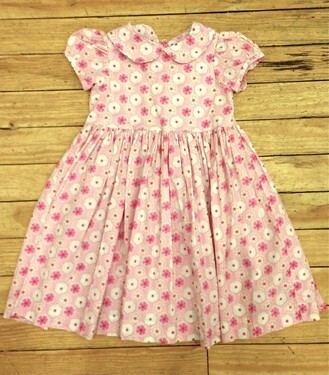 Kule,with a pink velvet ribbon, 2T, $39.99. 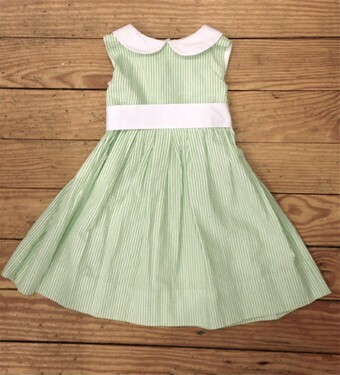 Would make a beautiful flower girl dress. Some seersucker for the girls! 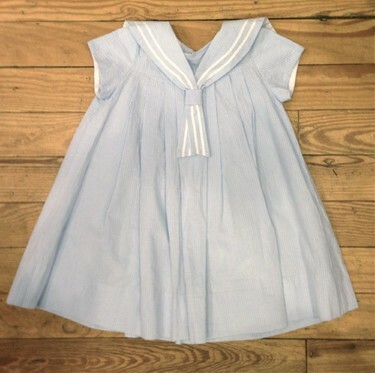 Charbe sailor dress, size 2T, $21.99. 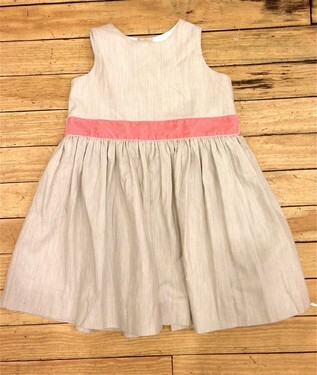 This would make a great flower girl dress for an afternoon wedding: Crewcuts, size 2T, $18.99. 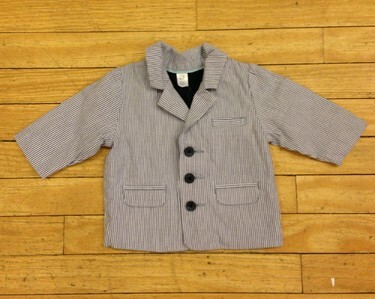 Olive Juice, size 18 mo, $21.99.